This is a long overdue post but when we are talking about products that are pricey and undoubtedly an investment I take the testing very seriously, so I have been giving these a thorough test run as well as comparing them to other products in a similar price point to ensure this review is as well informed as it can be. You may recall I absolutely fell in love with the Antonia Burrell Pure Therapy serum a little while back and I am still devoted to it whenever my skin shows signs of trouble, I used up a whole bottle and have repurchased to use every month to combat the dreaded hormones. I am pleased to say thanks to the serum and some changes which affected my hormones positively I am now largely spot free and with a lot less scarring which is a joy. 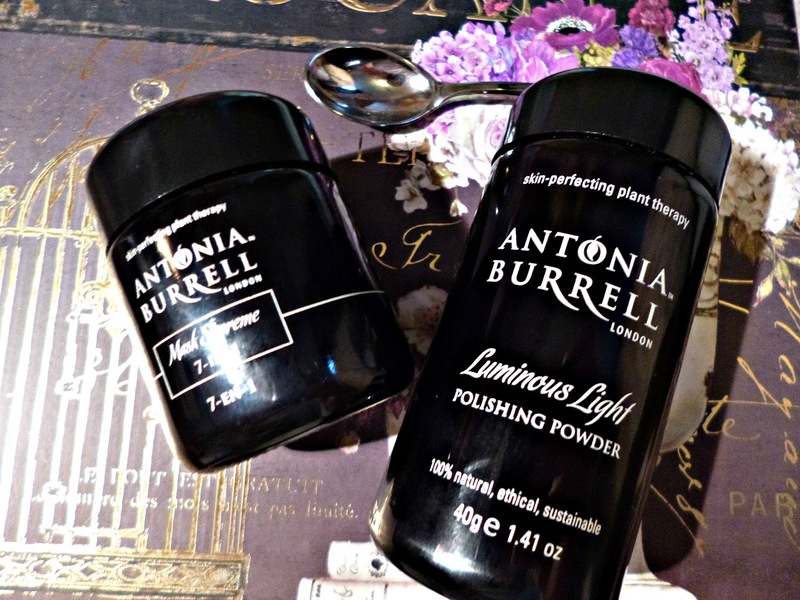 I have to give the other products in Antonia’s line also some credit for the improvements in my skin though, following the success with the serum I was delighted to be able to test two more products: The Luminous light polishing powder and the 7-1 supreme mask. 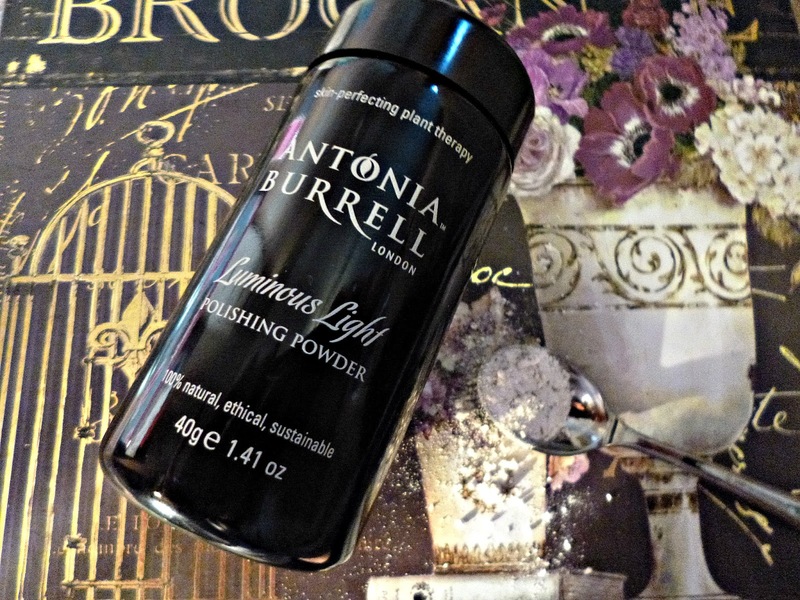 Luminous Light polishing powder Powdered exfoliants are relatively new to me and I have been using this one since well before Christmas, whilst it has had a mention on the blog before it deserves a thorough review. When I initially received this my first thought was that the jar is tiny, a couple of months in I can say a little goes a long long way… this product doesn’t mess about, it is very reliable and incredible in it’s results. If you have never used a powdered exfoliant before then they do a little getting used to when it comes to the mixing of the powder and water. This one comes with a small teaspoon and I find exactly half a teaspoon is the perfect amount, I then wet my fingers and add water drop by drop to the mixture in the palm of my hand, think of this like mixing icing, you always need less water than you may think and you can always add more but once you have too much you are stuck with a mixture that is too wet and will have to add more powder. Once you have enough water the powder turns in to a beautiful mousse consistency and is ready for you to use on the face. I take the mousse and massage in, concentrating on those areas prone to congestion such as my chin and nose, I can’t stress enough how gentle but effective this is, I don’t get any redness or discomfort which does happen with other exfoliants, what you are left with when you rinse away is the softest, smoothest skin ever, in fact I haven’t seen skin this smooth on me since my early twenties, enough said. I find that you will some times have to add a bit more water to enable you to massage into the skin for longer, I just wet my finger tips and massage until I feel my skin is perfectly smooth, it doesn’t take long at all. The ingredients as you would expect from Antonia are exceptional, tea tree leaf extract to purify the pores is also anti-bacterial so helps to prevent breakouts, zinc and colloidal oatmeal sooth and slough away dead skin cells. It also contains a small amount of betaine which gives it it’s slightly foamy consistency. The ingredients make the look and feel of it very unique, as it has the tea tree leaf when it’s not mixed with water all honesty it does look a little like food seasoning, but once mixed it feels super luxe so don’t let that put you off, it also has a very gentle tea tree scent, nothing like some of the strong tea tree products you can get on the high street, this is subtle but beautiful. Mask Supreme 7- in -1 I think these two products work extremely well together as does the serum, I tend to save this for the weekend when I really have time to pamper myself and use the luminous light beforehand but this is also the product I would reach for if I had a special occasion and I needed my skin to look great for, this product makes a lot of claims and for me it delivers extremely well on the ones I need for my skin, brightening, hydrating and keeping the skin clear. This is a clay masque unlike any other I have ever used, it contains bentonite clay to remove impurities, but unlike the home made bentonite clay mask I once made which destroyed my skin, this one doesn’t set hard giving that awful tight feeling and instead is packed full of moisturising ingredients that really smooth and hydrate the skin, including meadow farm seed oil, Abyssinian oil and mango butter. The instructions say you can remove after ten minutes or leave on longer (even overnight) to really get the benefits, I always opt for the latter, it feels amazing on the face and isn’t too obvious once dry so it’s perfect for popping on and getting on with the housework without fear of scaring the postman if he knocks the door, at this price point washing this beauty off after just ten minutes feels like a waste to me, but if pushed for time ten minutes is still all you need. Very little of this is left as residue to wash off, the majority of the ingredients are absorbed in to the skin to work their magic and magic it is. So how does this clever mask achieve a full 7 benefits for the skin, the hydrating and smoothing element comes from time release oleosomes from safflower, essentially these are very small moisturising particles that keep the skin hydrated over time, and it really works, when you have used this mask the skin feels soo smooth, baby soft even. There is also a patented anti-acne bio-active in there as well as lactic and salicylic acid which are well known for their ability to clear skin. Whilst I don’t think it’s really possible for anyone to truly test all seven claims, unless they are doing a clinical study, this mask delivers more than you expect. I have found it to brighten, intensely hydrate, smooth and clear the skin. 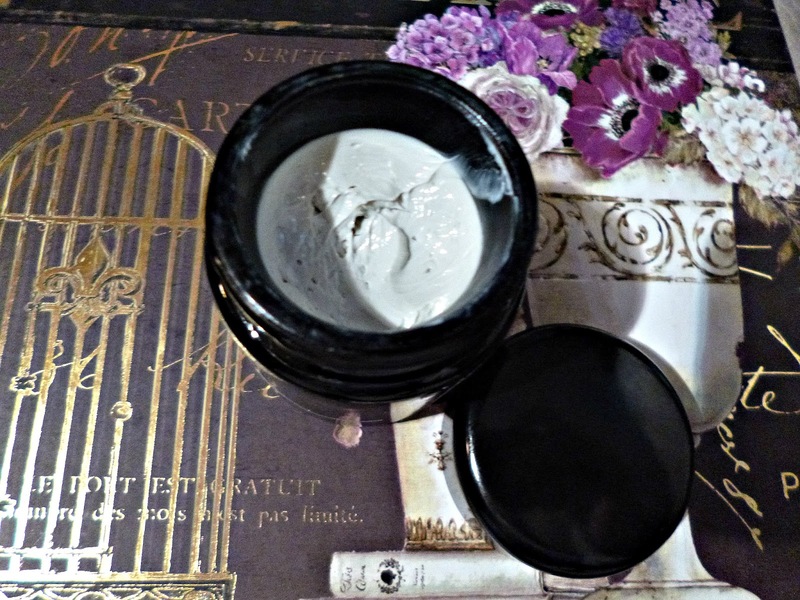 Overall the skin seems more balanced, happier and less demanding and if you have the budget I highly recommend it, I think it will become a bit of a cult product due to it’s versatility, I also think it would be a great in flight treatment if you travel a lot. I love Antonia’s ethics, packaging (who doesn’t love miron glass!) which protects the ingredients and most of all her brilliantly effective formula’s I have yet to find another high end, natural skincare brand that delivers what she does (even though many are wonderful), if you have problematic skin her line should be your first port of call. I have the Radiant Light serum to test too which arrived at Christmas but I haven’t opened yet so look out for a review of that and I fully intend to try the moisturiser too, once I love a brand I like to test out all it has to offer! Have you tried any of Antonia’s products? What did you think?